IJCRBM is a Peer-Reviewed Journal and valid as per New UGC Gazette regulations on minimum qualifications for appointment of teachers and other academic staff in universities and colleges (Date: 18/07/2018) View More Detail. Life time achievement award by Geriatric Society of India (2011). Dr. V. Shanmugaraju, M.Sc., M.Phil., Ph.D.
Senior Lecturer of Microbiology and Immunology, University of Yaoundé 1 – Cameroon. Professor of Microbiology, Institute of Ophthalmology, JN Medical College, Faculty of Medicine, Aligarh Muslim University, Aligarh-202 002, UP, India. 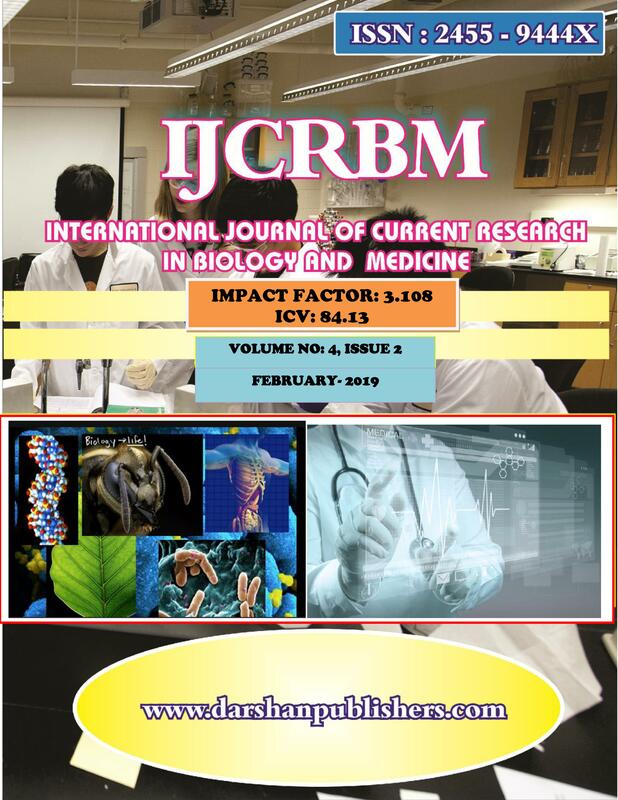 International Journal of Current Research in Biology and Medicine (IJCRBM) publishes original Research papers, review articles, short communications and Case Reports. The mission of International Journal of Current Research in Biology and Medicine is to significantly broaden the knowledge base of its readers and in this sense; the journal shall focus on only those papers that fall within its scope. The scope of the journal encompasses original research reports, reviews, short communications and scientific commentaries in the fields of Biology and Medicine and other fields of basic and applied Biological and Medical sciences. 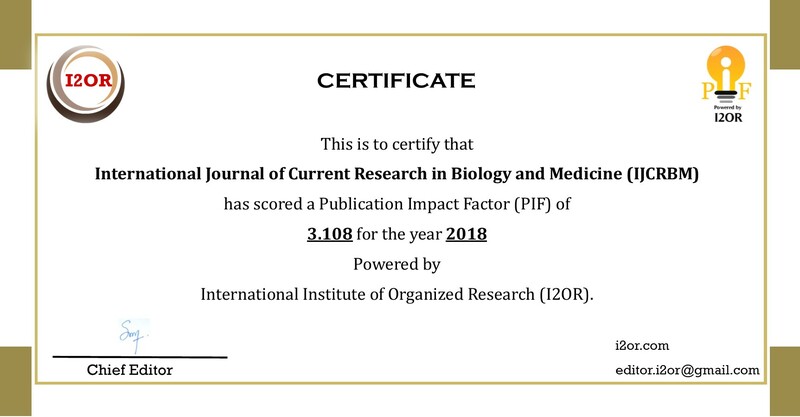 International Journal of Current Research in Biology and Medicine (IJCRBM) aims to publishes various fields of biology including Life sciences, Microbiology, Biotechnology, Agricultural Sciences, Chemical Sciences, and Environmental Sciences, Botany, Plant Science, Biochemistry, Zoology, Marine Biology, Genetics, Molecular Biology, Pharmacogenomics, Pharmacology, Medicine and Dentistry, Veterinary Science, Anatomy, Nutrition and Metabolism, Cancer Research and Experimental Oncology, Clinical Pathology and Forensic, Medicine, Agricultural Engineering, Agricultural Biotechnology, Agricultural Microbiology and Plant Pathology. Authors are requested to submit Research and Review articles through online at editorijcrbm@gmail.com with mention journal title (IJCRBM) in subject line.